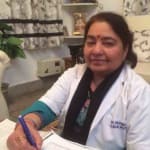 Dr. Pratibha Sharma is an experienced Psychologist in Rajender Nagar, Dehradun. She has been a successful Psychologist for the last 4 years. She is a qualified Diploma In Clinical Psychology . She is currently practising at Doon Psychotherapeutic Centre in Rajender Nagar, Dehradun. You can book an instant appointment online with Dr. Pratibha Sharma on Lybrate.com. Lybrate.com has a nexus of the most experienced Psychologists in India. You will find Psychologists with more than 35 years of experience on Lybrate.com. You can view profiles of all Psychologists online in Dehradun. View the profile of medical specialists and their reviews from other patients to make an informed decision. Social Networking And Mental Health - Know Effect Of It! As per the latest statistics, around 42% of populace online at one time, is using social networking sites either on their laptops or mobiles. Majority of this population is below 30 years of age whereas the figure is changing for internet users aged 65 years and above. People use these sites to stay in touch with family and friends, to share things, express their views on matters and to find out what's happening in the other corner of the world. But this usage can have many negative effects on the mental health and wellbeing of users both children and adults. 1. It is addictive: It has been analyzed that these social networking sites are often addictive with people using them daily or even several times during a day. They log in to these sites for many reasons like to overcome boredom, distraction, to check their likes and comments which are usually a positive support after posting a status or information. 2. It makes us do unfair comparisons: Various posts on social media at times make people compare their lives with others. And it is said, the grass is always greener on the other side, it makes you feel low thinking how idealized are the lives of people connected to you. 3. Social media makes us restless: Many people start feeling restless when they are unable to access their social media accounts. 4. Social media increases cyber-bullying specifically in adolescents. 5. Social media glamorizes the use of drugs and alcohol since the teenagers often view the pictures of people using it and out of peer pressure would like to try them. 6. Social media increases unhappiness: Enthusiastic users feel that social media fluctuates their moods also leaving them dissatisfied in their lives. 7. It might also lead to FOMO, fear of missing out. Pin interest might give you a feeling that you are not creative or talented, Twitter and Facebook might make you feel that you are not smart and are not enjoying your life enough. Excess of social networking might also lead to problems like anxiety, feeling of imperfection, may induce a feeling of being miserable or in some cases might even cripple the basic need for social interaction. It has been known to create a digital landscape has exerts an unnecessary and increased pressure on the generation today and the general population has to a larger extent. What To Do When Work Drags You Down? We spend a majority of our waking hours in office. Naturally, the atmosphere of the office affects the way we perceive things around us, our moods, passions and personality. How do you like your office atmosphere? Do you enjoy working with your colleagues? Do you feel respected? It is essential for you to have an affirmative answer to each of these questions, for your own good. But if not, what can you do? Shift: Staying in a negative space will pull you down and harm you. If possible, ask to be transferred to another department. Few of us have the luxury of quitting on a whim. So, update your resume and spread the word that you're looking for a change. Don't quit your current job without having a back-up plan in place. However, when looking for a new job, keep the things you don't like about your current job in mind, so that you don't find yourself in a similar situation again. Find like-minded people: No matter how many colleagues you don't get along with, there must be a few you like. Watch their back and ask them to watch yours. Whenever you hear of anything that might affect the people around you, share the news with them but with discretion. Limit your interaction with people who pull you down and drain your energy. Document everything: Don't let things come to a 'my word against yours' situation. This can be very stressful and harm your health. As far as possible, ensure all your communication is recorded in the form of emails, messages etc. Do not rely on someone else to take notes at meetings, rather make your own. Keeping a work diary is a good idea. Lead by example: Negative people feed off the negativity around them. If you are a positive person, they will gradually begin avoiding you themselves or you might even make a positive impact on them. Respect people you work with and you will get their respect in return. Before condemning people, take a look at yourself and ensure that you aren't doing anything to attract that kind of behaviour. Do something about it: Complaining can get things off your chest but often do nothing to change the situation. Be a part of the solution to the negativity in your office. Be regular with your own work and stick to your deadlines. If you need something, follow up with people instead of expecting them to follow up with you. Lastly, don't try too hard to change the system. You can only control your own life. If you see your efforts going to waste, get back to that resume and start sending it out. Hypnotherapy - Know Benefits Of It! Jumping at the sight of a cockroach is normal but some people won't even step into the room if they see one. Such people are said to suffer from a phobia of cockroaches. A phobia can be defined as the irrational fear of an object or situation though it may not pose any real danger. A phobia often develops during childhood and gets aggravated as the person gets older. Hypnotherapy has proven to be an effective form of treatment for phobias and fear. Hypnosis identifies the root cause or event that is the underlying cause of the phobia. A hypnotherapist then attempts to change the person's reaction to the phobia trigger. To do this a hypnotherapist must first bring the person into a state of calmness and relaxation. This is because the root cause of a phobia is often a repressed memory. Thus, it can be accessed only when a person is in a state of heightened relaxation or trance. In this state, the mind is very receptive to suggestions. Once the memory has been addressed, it can be brought back to the conscious awareness. Addressing this conscious memory then allows the therapist to make the patient feel less threatened by this trigger. The patient can then begin to form new thoughts and responses to the object or situation. This process is also known as hypnotic regression. A person normally needs 3-4 sessions of hypnotherapy to be rid of a phobia. However, the number of sessions required varies from person to person and it may take additional sessions to cure a chronic phobia. When you decide to work with a hypnotherapist to get rid of your phobias, it is essential that you make the right choice in terms of the hypnotherapist. You should ensure that you are being treated by a licensed professional hypnotherapist. Also, make sure that you can trust the person and are comfortable in his or her presence. Take your time finding someone who you can open yourself up to and get started on conquering your fears. Have you been emotionally invested in a relationship for quite some time? Have you faced continual fights and disagreements with your partner? Have these fights resulted into frustration or have they affected the natural course of your respective lives? If yes, it is time for you to reassess the effort or rather the kind of effort you put in to make things work. Quarrels are an integral part of any healthy and serious relationship. However, an overdose may lead to severed ties. It bruises your memory and leaves you too distraught to engage in an emotional attachment. The kind of mindset a person applies to his or her relationship determines the kind of treatment the person receives in the relationship. Hence, you must be very careful. 1. To complain as least as possible: Keep low expectations from your partner. The most common reason for conflict in relationships is the list of expectations - which when left unfulfilled leads to complaining and nagging. What you do for your partner is what 'you think is the right thing' - but your partner may not hold the same perspective. 2. Respecting and accepting your partner as he/she is - A package deal, will resolve many issues without debate. When pointed out in subtle ways, your partner will understand and try to change for you , if she/he wishes to. 3. Try to have a growth- oriented mindset: A growth oriented mindset as opposed to a fixed mindset can always help. When you have a fixed mindset you easily give up on your partner or on the relationship. You tend to feel hopeless about future and associate a lack of growth or change with your partner. A growth- oriented mindset endows you with hope. A situation is perceived as an occurrence in the present that need not necessarily be translated into future. Also, such a mindset expects both parties to accept and encourage change and growth of individuals in the relationship. Anything contrary can make your relationship boring. 4. Stop using labels: Labeling is an indecent way of identifying the problem with your partner or with the relationship in general. You should neither brand yourself as something or your partner as something else. Associating critical adjectives with one another is a way of demeaning your lover and can dissuade your partner from communicating his or her viewpoint. 5. Look for the trigger: Most quarrels result from a trigger. Trying to pinpoint the trigger with a cool head can actually be of use. This will make partners aware of their faults and instead of dodging the situation they will be able to deal with it better. 6. Try to rekindle the spark: Time, overburdening responsibilities or workload can make your relationship a routine affair. An element of secrecy and excitement is important. Therefore, desire should never take a backseat in your relationship. Try to fulfill your partner's desire and let him or her know about your expectations as well. Sleep Wake Disorder - Everything You Should Be Aware Of! Sleep-Wake Disorder is a very uncommon syndrome which causes irregular sleeping patterns without any real schedule. People with mental dissorders like stress and anxiety usually suffer from this problem. Persons with brain malfunctioning and those who do not have a regular routine during the day experience such disorders. People with changing work shifts often experience such disorder. Also, travellers who often move from one country to another with different time zones may also have these symptoms. There's no cure for this disorder, but treatments, including hormones, medicine, and light therapy, can help get you closer to a normal sleeping pattern. A person must have at least three abnormal sleep-wake episodes during a 24-hour period to be diagnosed with this problem. The time between each such episode varies from 1 to 4 hours. The doctor may advise you to go ahead with a device called actigraph in case the diagnosis is unclear. The device looks like a wristwatch, and it can tell when a person is sleeping or awake. A regular daytime schedule of activities and mealtimes need to be fixed. Avoid coffee and tea like stimulents. Breathing exercises and music therapy (low volume melodious songs) can be of huge help. You should not stay in bed during the day for long. Use bright light therapy in the morning like those from computer screens and television. The period of exposure should also be increased. Exposure to blue light should be minimized at night. You should take melatonin at bedtime. This is a hormone that controls the sleep-wake cycle. By taking doses at the right times, you might be able to shift your body clock earlier or later. Make sure to make the room dark, quiet, and as comfortable as possible at night. Also one should try to minimize the amount of noise in the sleep environment. Add more structure to the patient’s day by scheduling social interaction, exercise, and other activities. Your doctor may prescribe drug to control the timing of the sleep-wake cycle. Finally, you should take proper care of yourself. Make positive changes in your lifestyle. You can even ask your boss to make your work schedule a bit flexible. The ultimate goal of these lifestyle changes is to help the person sleep longer at night and make him feel active and awake during the day. Most people have sleep disturbances on occasion. Acute Stress Disorder - How To Manage It? Acute stress reaction usually happens when some stressful events occur. Acute usually indicates that the symptoms occur quickly and do not last for a long time. Symptoms such as anxiety and stress occur when exposed to stressful events. It is believed that acute stress disorder occurs after unexpected crisis like traumatic events, serious accidents, domestic violence, sexual assaults or sudden bereavement. Acute stress reactions are commonly seen in people who have experienced major disasters or terrorist incidents. - Nausea, palpitations, headaches, abdominal pain, difficulty in breathing and chest pain are usually caused by the stress hormones like epinephrine. Cognitive Behavioral Therapy (CBT): This is the therapy where a person can talk to an experienced therapist to understand the patterns and the triggers that charge the problem. The aim of the therapist is to change the way a person thinks and help him avoid the thoughts and be more realistic and calm. Usually when CBT is used for acute stress disorder patients then it is termed as trauma focused CBT. Counselling: This is usually done when the symptoms are more severe or persistent. It is helpful as it helps to explore the way to deal with the stress and its symptoms. Psychiatrists help by counselling the people and also there are many online resources, which might be helpful. Hello! Muje Aisa lag raha hai ki me bahot depression me hu and loneliness feel ho raha hai, I want to tell you in details before 2 years me ek relationship me tha and family problems ke Karan mera breakup ho Gaya so me apni girlfriend ko bahot miss kar Raha tha but me dusre relationship k liye ready tha so me koi acchi ladki dhundh raha tha Sir Maine bahot try kiya ki koi a6i ladki mil jae me vesa flirty boy nahi hu so itni jaldi impress nahi hoti ladkiya but it's being 2 years me koi ladki dhundh hi nahi pata and Aisa nahi hai ki me poor hu ya uneducated hu is reason se I am studying in BE IT and looks me medium and middle class family se hu ,but mujhe nahi pata ki mere me kami kya hai, me girls se a6e se hi baat karta hu, respect bhi karta hu, care bhi karta hu but it goes fail! ,Muje andar se failure mehsoos ho raha hai and last 1-2 month se in reasons ke Karan me depressed ho Gaya hu! And at night overthinking k Karan muje headache bhi rehta hai! Kabhi kabhi muje lagta hai ki mera luck hi nahi hai, but I don't know proper reason I hope you will help me as a solution Maine ku6 din pehle apna Instagram and fb account bhi delete kar diya but koi fark nahi pad raha ,I still feel depressed and feels like ki suicide kar lu ð« please help me. Firstly set your priority in life. Girl friend or career ?than focus on your qualities. Set goals. Involve in physical exercise .write daily diary. After a week talk to me.